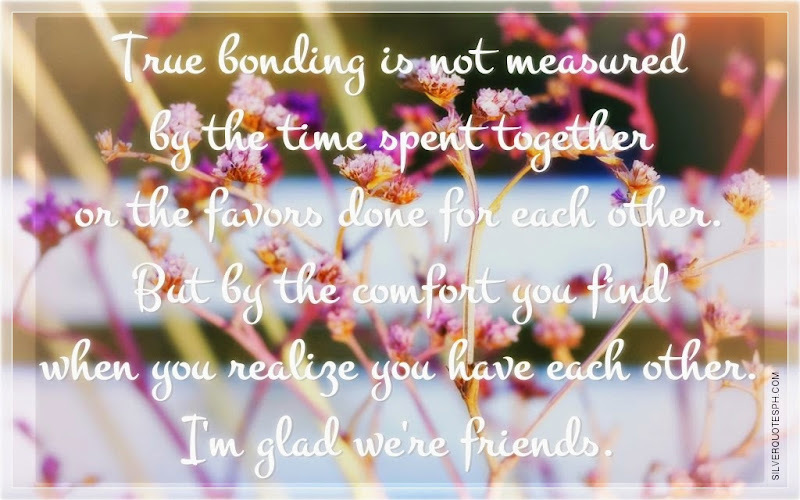 True bonding is not measured by the time spent together or the favors done for each other. But by the comfort you find when you realize you have each other. I'm glad we're friends.